The bread basket. 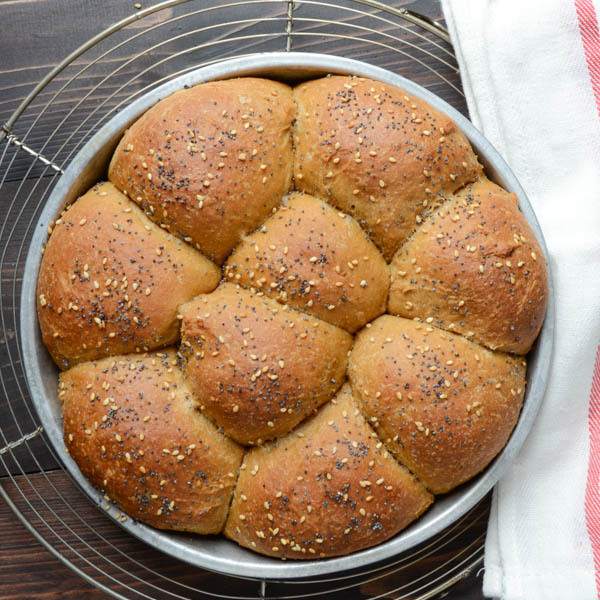 It’s an almost sacred vessel — lined with soft napkins and piled high with fresh baked bread. When its brought to the table, you know dinner is an occasion. But what’s you’re favorite? 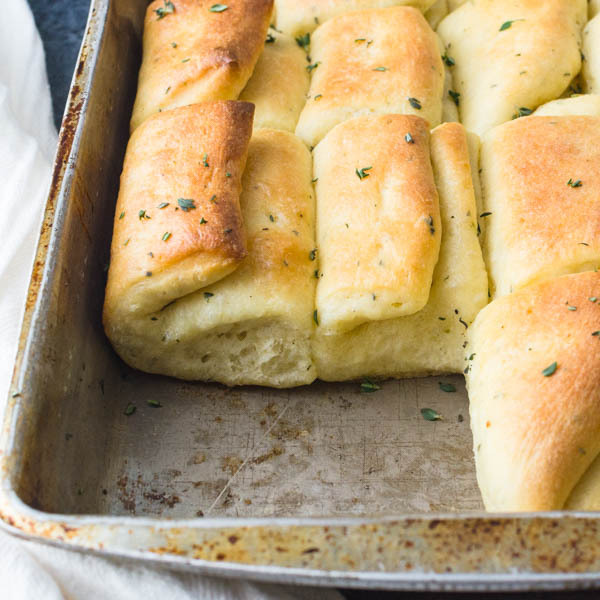 Soft, yeasty rolls or flaky, buttery biscuits? To be clear, if there’s homemade bread, I’m not going to be overly picky! But if I had a choice… it’s biscuits! 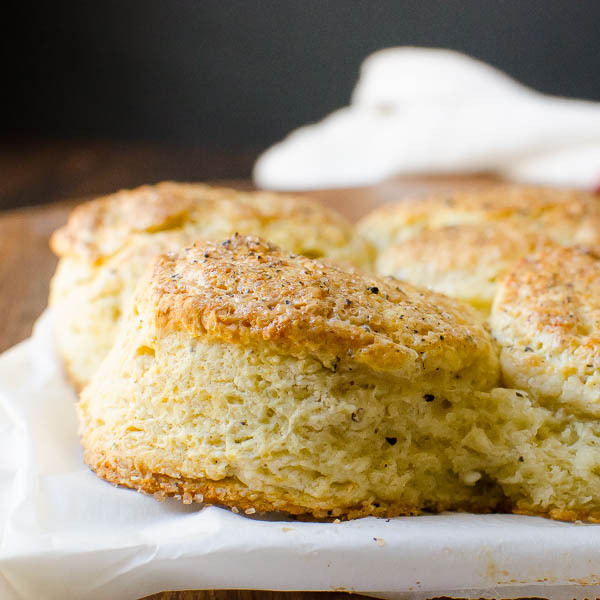 Hands down — and these Parmesan Black Pepper Buttermilk Biscuits are tops! 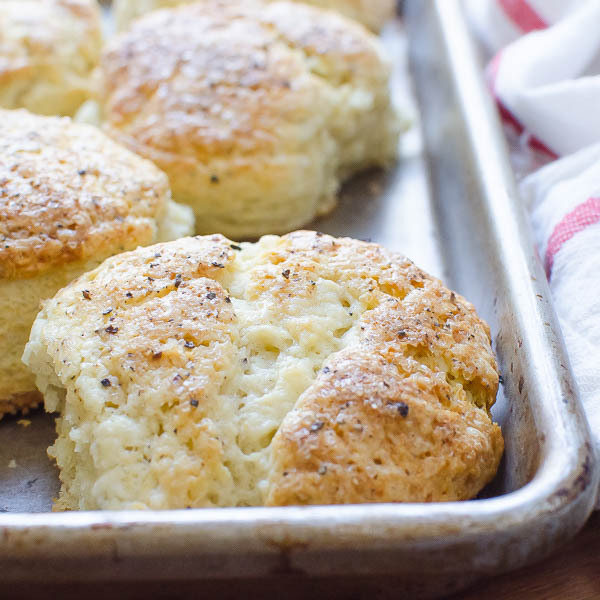 It probably stems from my childhood — growing up in Virginia, biscuits were the de-facto “toast”. Every breakfast joint served biscuits with their standard eggs and bacon. Smithfield Ham biscuits are “the standard” for entertaining in the Tidewater area – found at weddings, baby showers and Christmas parties. And biscuits, in my personal opinion, are arguably the best vehicle for transporting butter and jelly to your mouth! 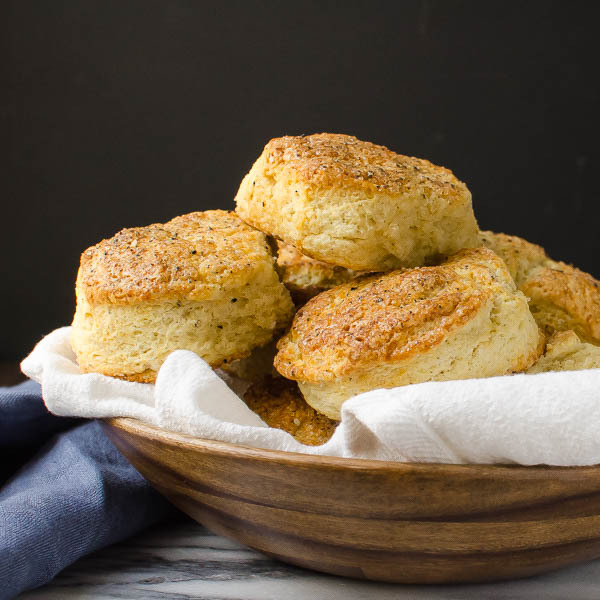 While we all enjoy a good buttermilk biscuit, you can also dress them up with other mix-ins to make them more savory or sweet, depending on your mood and the occasion. 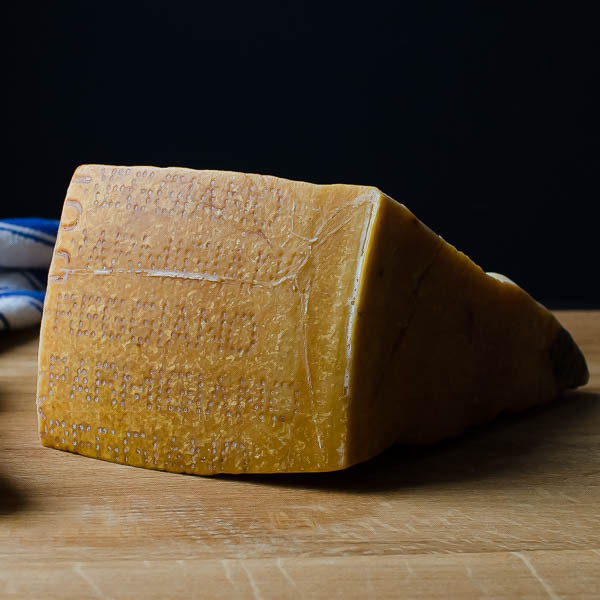 In this version, I’ve used fresh cracked black pepper and Parmigiano Reggiano – the real parmesan, for a spicy, nutty flavor. Finishing them with a brush of cream and a sprinkle of demerara sugar gives these mile-high beauties a hint of sweet that’s irresistible. The key to good biscuits is to not overwork the dough. Mix it until it just barely comes together. 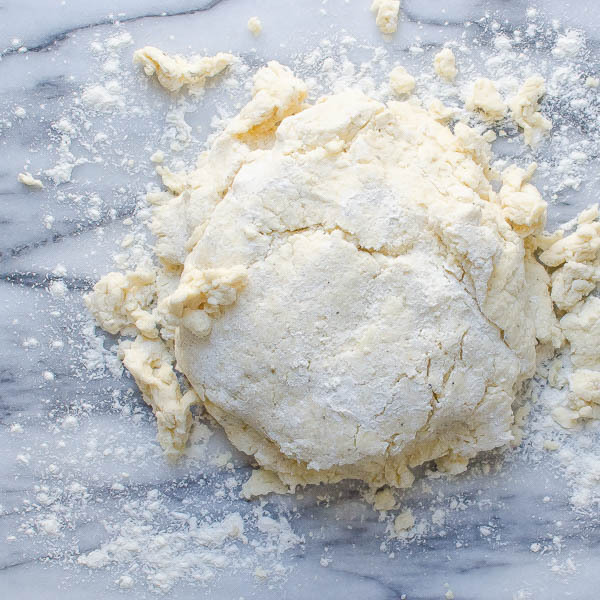 I don’t use a rolling pin, instead just forming it into a small rectangle with my hands and making sure that the dough measures at least 1 1/2″ high. A sharp biscuit cutter that is pressed into the dough (without twisting) will give you those beautiful rough sides that everyone associates with a good biscuit. When you put them on your baking sheet, make sure they’re almost touching, but not quite. 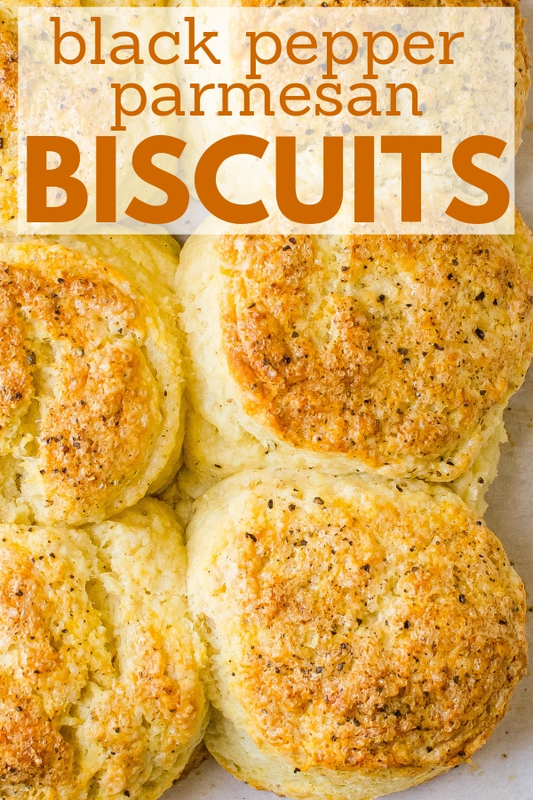 This recipe makes eight large biscuits. 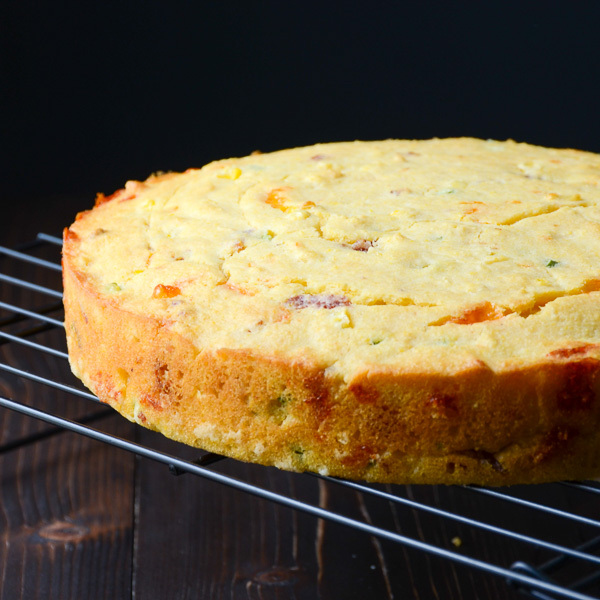 If you’re serving to a holiday crowd, you may want to double the recipe. 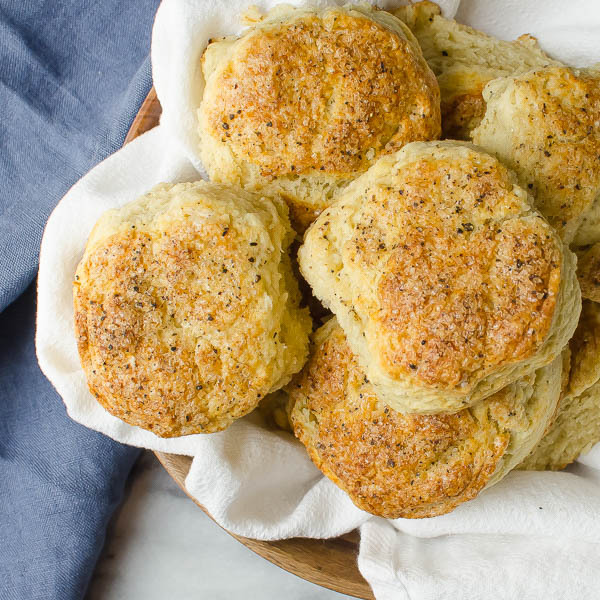 Tender, flaky, buttery biscuits, loaded with parmesan cheese and a hint of black pepper. They even get a sweet crunch from a sprinkle of demerara sugar! Preheat the oven to 375°. Line a baking sheet with parchment paper and set aside. In a large bowl, combine the flour, salt, sugar, baking powder, baking soda, 3/4 teaspoon of black pepper and grated cheese. Whisk to combine and add the butter. 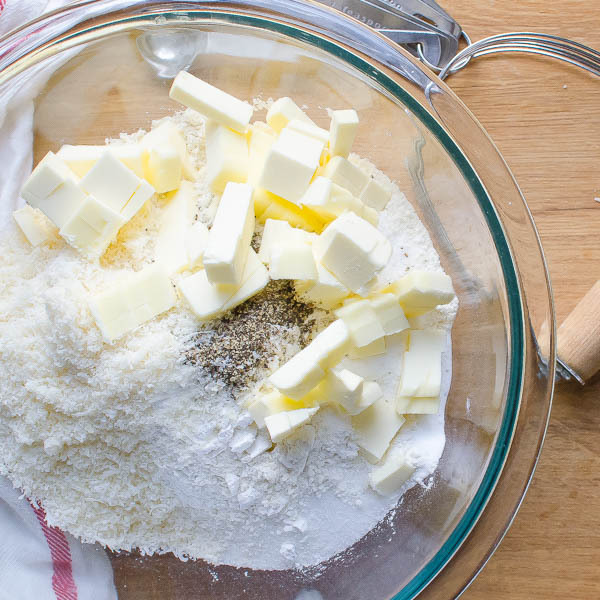 Use a pastry blender to cut the butter into the dry ingredients until it resembles coarse meal -- it's ok to have some larger, pea-sized pieces of butter too. Add the buttermilk and stir until just combined. Lightly flour a work surface and turn the dough out onto it. 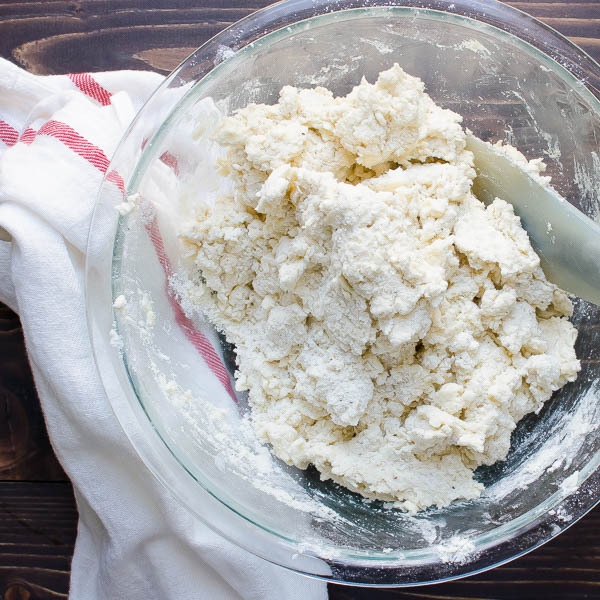 Knead the dough 2-3 times -- just until it holds together in a solid shape - but don't overwork it. Pat out the dough until it's about 1 1/2" tall. 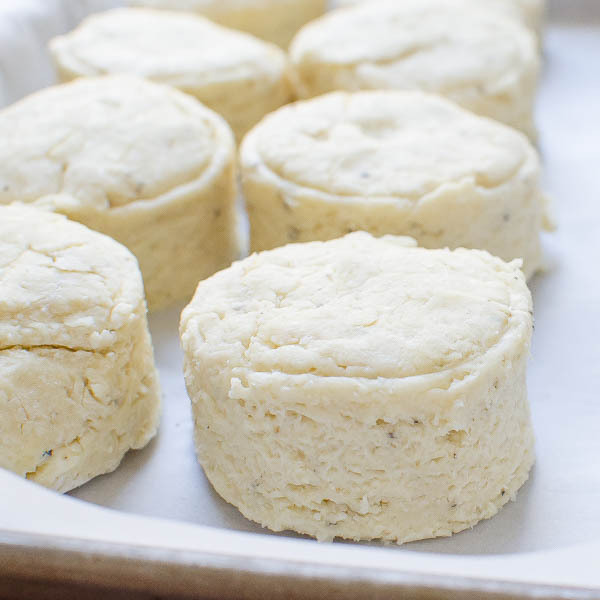 Use a 2" biscuit cutter to cut out the biscuits -- do not twist the cutter in the dough -- just press straight down. Assemble the scraps and pat them into another 1 1/2" tall form and continue making biscuits. Transfer the biscuits to the baking sheet. 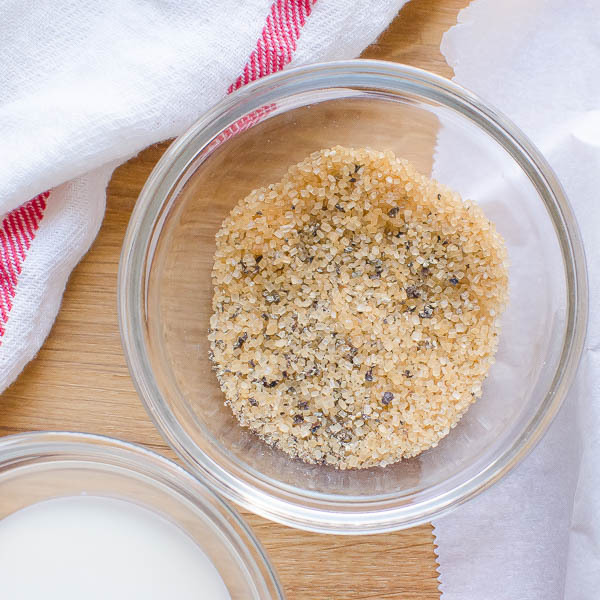 In a small bowl combine the demerara sugar with the remaining 1/2 teaspoon black pepper. Stir to combine. Brush the tops of the biscuits with cream and sprinkle with the sugar mixture. Bake for 15-18 minutes. Serve hot from the oven. 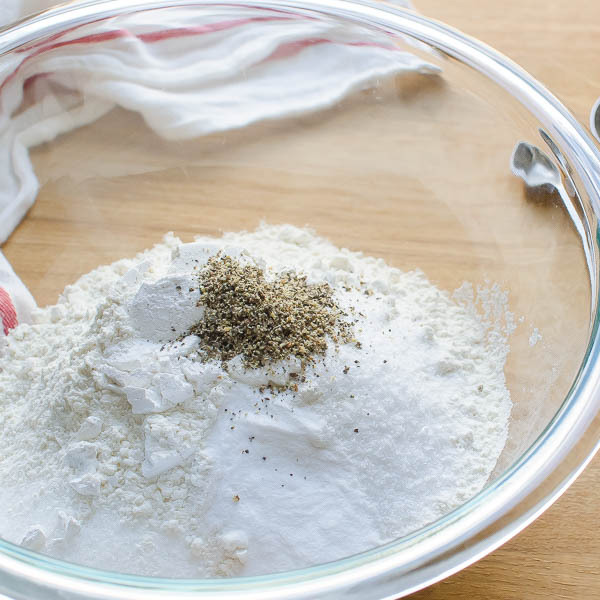 Pin “Parmesan Black Pepper Buttermilk Biscuits” For Later! Yes. You should be able to bake and freeze them for up to a month. I would reheat in a warm oven before serving. Biscuits are my weakness! I could eat trays and trays of them! Flake, buttery, cheesy, carbalicious perfection! I want to eat every one! HA! you’re my kind of people… I love the concept of biscuits for toast substitutes! 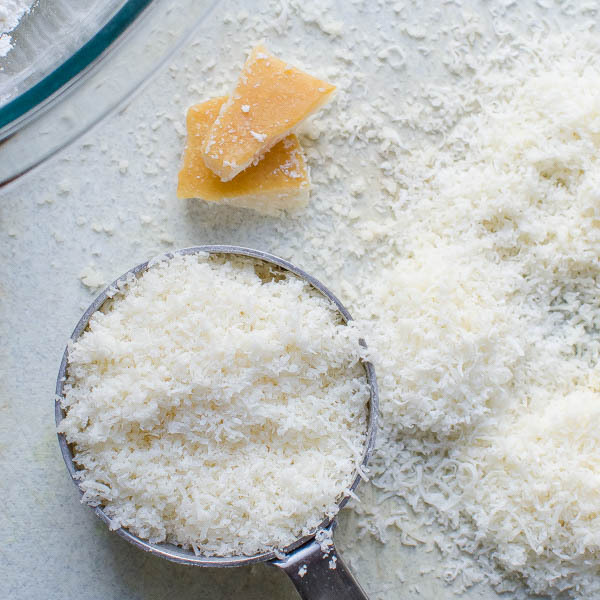 Yes please… and then you go and add Parmesan to them? Oh my, Im making my grocery list now…! These look amazing! I’m making soup tonight for dinner, and these will go perfectly! Thanks! Okay, these look awesome. LOVE the parm and the kick of the pepper! Need to try these ASAP! Thank you, Karly — Hope you like them — they don’t last in our house! Beautiful photos! Love the recipe as well. Those are gorgeous! I love how fluffy they are. And of course, anything with that much butter and parmesan is bound to be delicious. Oh Lisa, these biscuits are to die for! I’ve never made them before, but now I just cannot take my mind off it! I’ll be trying this out as soon as I get my hands on some buttermilk! 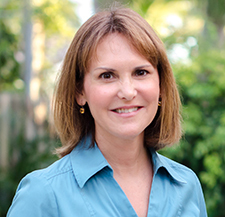 Thank you, Tina — Please let me know how you like them! My, oh my! These little beauties looks amazing! Thanks, Katrina — they are really good! 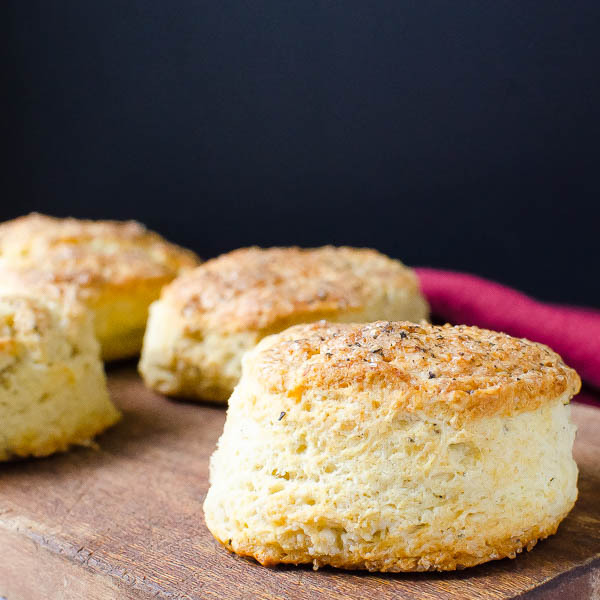 Those biscuits make my eyes roll to the back of my head… just too good for words- and the layering with those flavors. Oh my! Be warned, they don’t last! Whoa, do these look amazing! Love that they’re sky-high and love that Parm-Regg cheese you’ve included. Lovely!